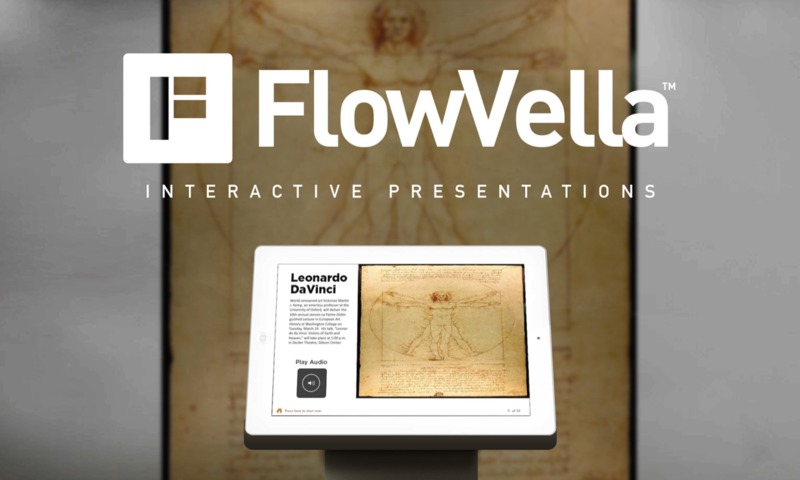 FlowVella is emerging as the leading platform for interactive iPad kiosks for museums, and other uses. FlowVella offers simple and powerful tools (Mac and iPad apps) that allow users to quickly and easily compose custom, branded, multimedia experiences that can be securely deployed in kiosks and updated hassle free. FlowVella kiosk pricing is simple, just $20/month for a PRO account and additional costs per active device. You won’t beat FlowVella’s power, price, security and convenience for an iPad interactive, multimedia kiosk solution. Just ask the Smithsonian, Star Wars or EMP Museum about FlowVella and they will tell you their stories of success.